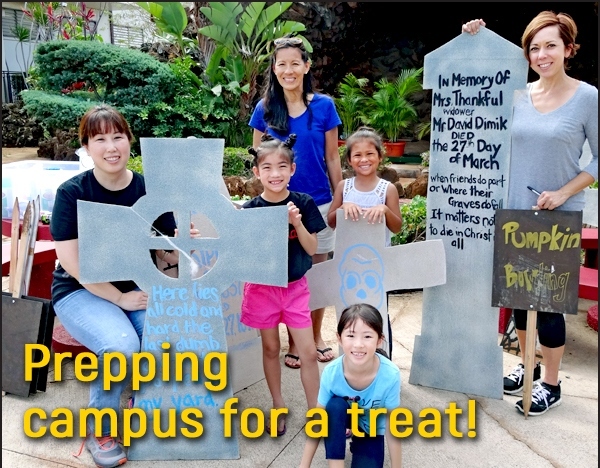 Excitement filled the air on campus as a hard-working crew of parent and student volunteers began prepping for the annual Fright Night celebration on October 27. Graveyards are popping up here-and-there, spider webs are being spun, pumpkin patches are growing and ghosts are creeping out from doorways! Over 1000 parents and students are expected for this family-friendly Halloween activity, which is planned, organized and staged by the Academy's dedicated Parent Organization. Costumes are ready and eager event patrons are looking forward to an awesome treat!